THERE is nothing more important than protecting your skin during summertime. As your body’s most prominent organ it deserves to be well treated and sufficiently shielded when facing the sun’s rays. I have fairly light skin and cannot go a day without sunscreen. But what’s more: For my skin to be beautiful in summer, I also love to adapt my skincare routine. 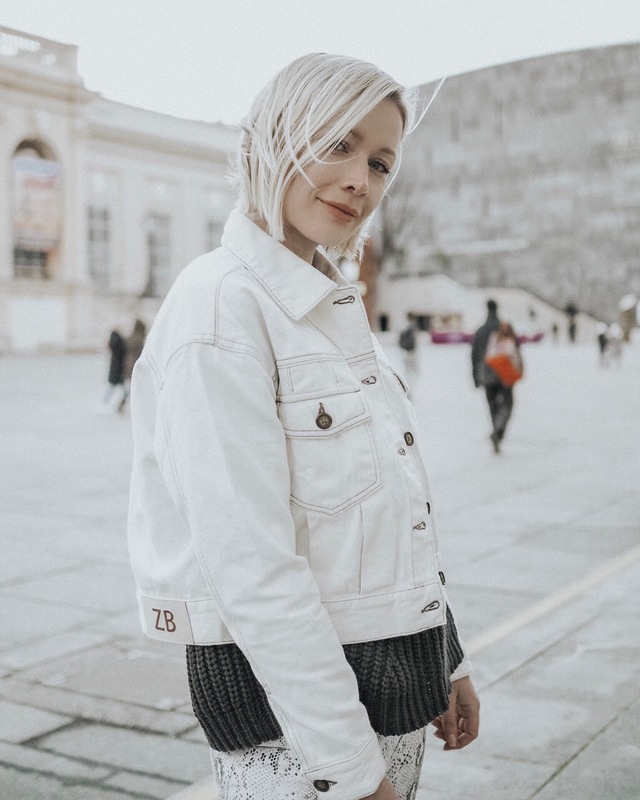 I prefer to use light products with optimum tolerance because I easily react to UV radiation and include cleansers and creams which are suitable for sensitive skin. 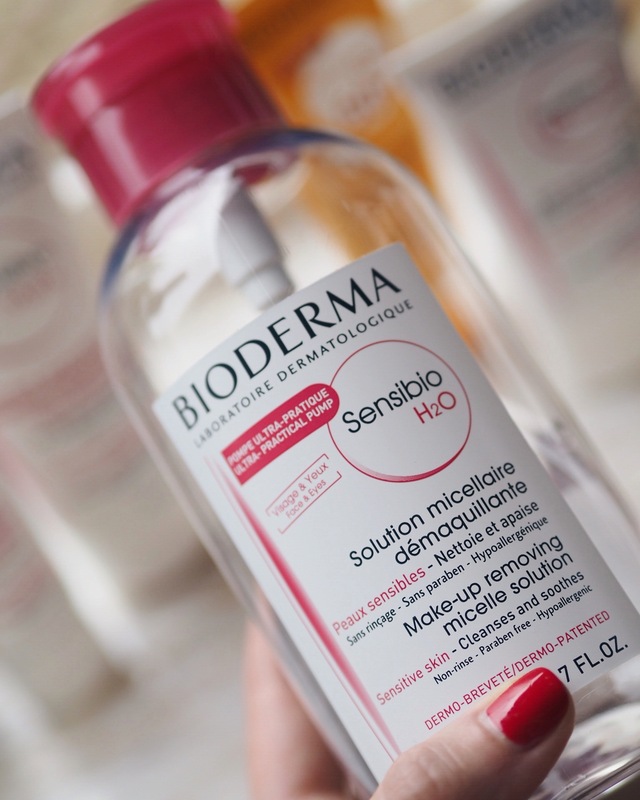 Being a big fan of BIODERMA ever since I first bought their well-known Sensibio H2O Micellar Water in France, I welcomed the idea of partnering up with the company and showing you some really good things for your perfect summer skin. Carefree days in the sun, here we come! Nothing better than this one: As you can see I am more than halfway through the 500 ml version and use it for taking off make-up or for removing excess oil or residue from the day. It doesn’t overdry skin and makes it feel deeply hydrated. BIG LOVE for this one! Sunny days and the heat always tend to get to my skin. It might feel dry and quite sensitive which makes it super important to use a light hydrating cream that soothes the skin after sunbathing. Additionally every once in a while I give my skin an extra treatment and apply a mask which recomforts and gives me some extra hydration. Currently I am using the Sensibio Light Soothing Cream and the Soothing Mask. With fair skin types it is really best to use a very high protecting sunscreen for your face and body. As I do not want to shine my way through the day, I need my sunscreen to have an anti-shine texture which is water resistant. 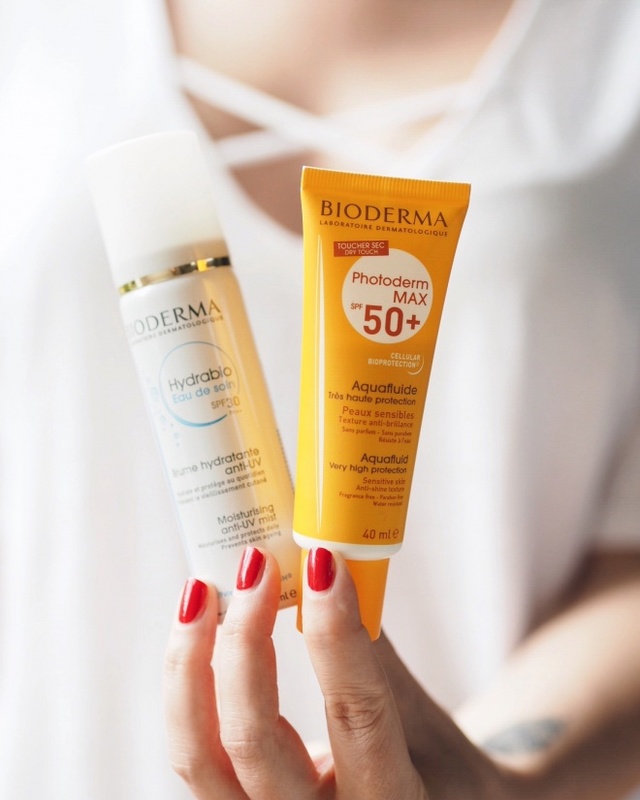 Currently I am using the Photoderm MAX Aquafluid with SPF 50 under my BB cream. If I need a touch-up during the day the Hydrabio Moisturizing Anti-UV Mist will be my bet. With SPF 30 it protects and hydrates during the day. Especially on hot days in the city for me this is a welcome alternative to classic water mists because of its extra UV protection. A little miracle which is perfect for on-the-go. You can also set your make-up with it, so big thumbs up for this little power product. 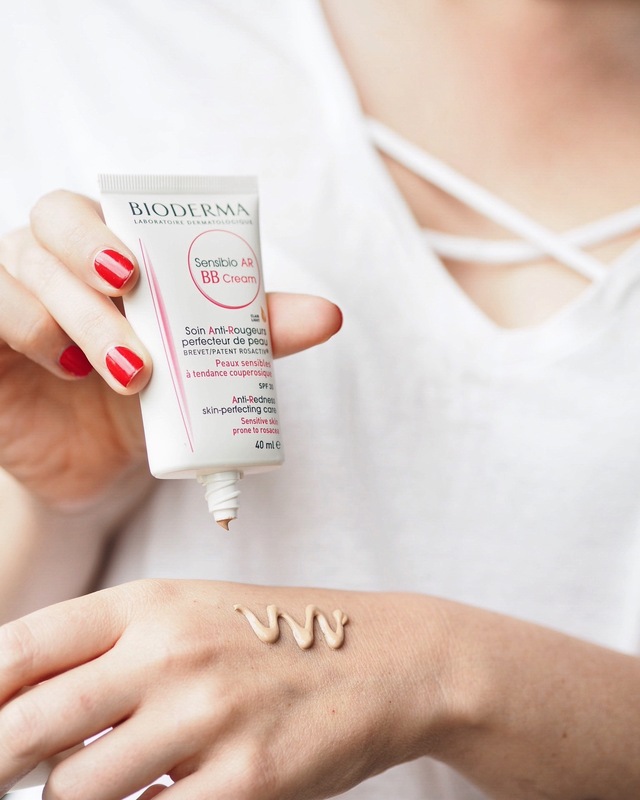 I try not to use make-up during summer, thus a BB cream is the best choice for me if I want to cover up dark spots or small blemishes. 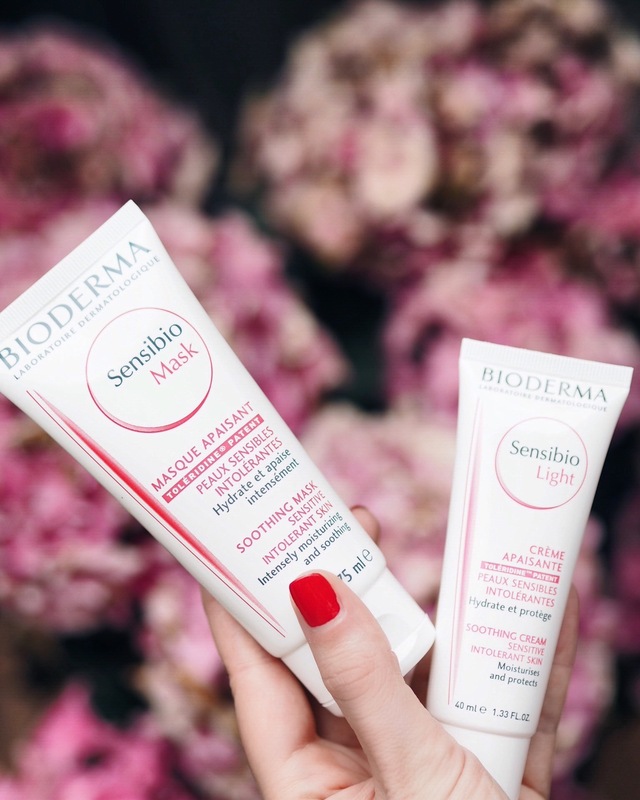 My skin has almost fully recovered from its acne earlier this year, so the Sensibio AR BB Cream is the perfect choice for light coverage. It conceals redness and leaves my skin looking matt and velvety. 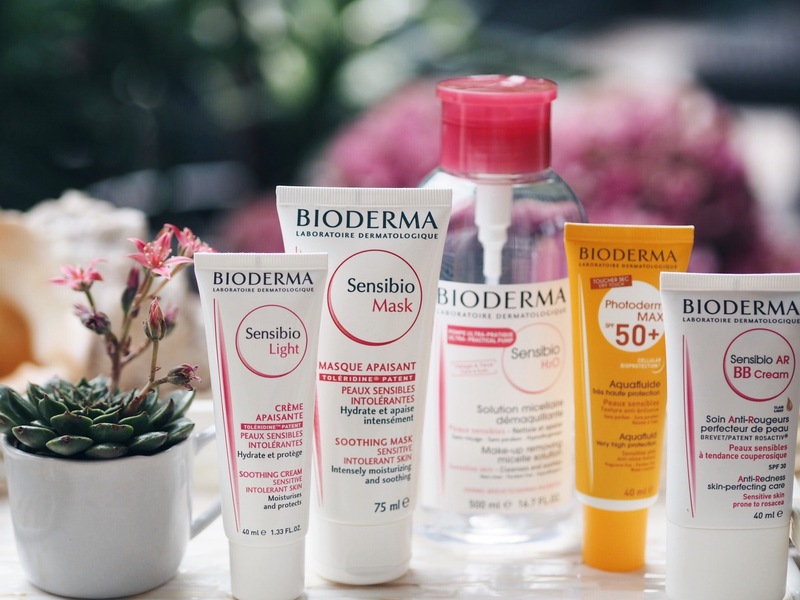 Fortunately, since my last BIODERMA online purchases and a big haul in Corsica two years ago, you can finally find the products in pharmacies in Austria. Hurray! I hope, I could help you find your perfect summer skincare products and would love to hear about your experiences. Also let me know in the comments which product you use on a regular basis during summertime. 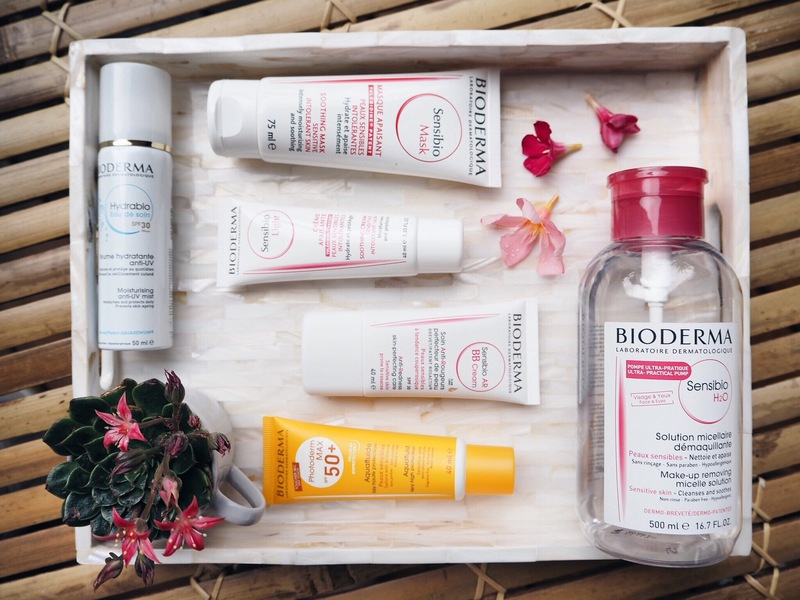 *In friendly cooperation with BIODERMA Austria.